What does this art say about finding gold? Take a look at this rough sketch post-it note I drew. 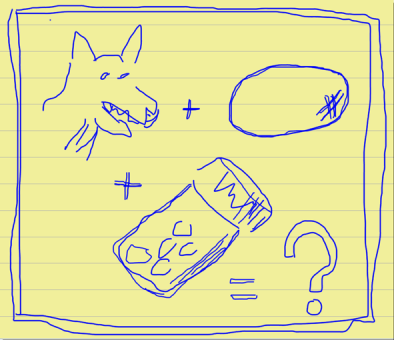 Let’s try a round of Pictionary with a twist; you know the game where you guess the message from this crude line drawing, OK? Question: What’s the message about finding gold in this picture? Hint: The answer relates closely to what you’ll see in the next post. Here’s the twist – Here’s a few more clues then give your best answer to the question in the comments below this post. There’s three different things shown in the picture. What do you think they are? Name them. The three things are connected together by a common story. What do you think that story is? And finally how does this story relate to gold?